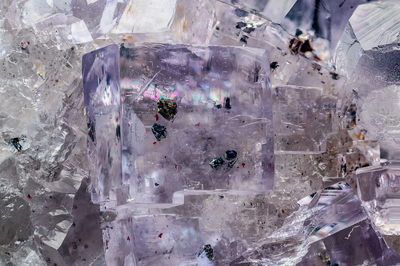 Light violet fluorite crystals with included, among others, minute but well-defined crystalline red cinnabar. Collection and photo of Gianfranco Ciccolini. Nikon D750, bellows, Scheider Kreuznach Componon 80 mm; f: 5.6. Focal using 7.